A man who grew up in Bexhill has won a prestigious award in Australia. Christian Kimber was presented with the National Designer Award in the country this month. The accolade was sponsored by Virgin Australia Melbourne Fashion Festival. Christian was the first menswear designer to win the award. The National Designer Award, now in its 23rd year, celebrates and supports the future of Australian fashion by acknowledging designers in their first five years of business who excel in creative design, fashion innovation, manufacturing standards, business practices and innovation. The judging panel was made up of Australian industry leaders and icons including Vogue Australia editor-in-chief Edwina McCann and Harper’s BAZAAR Australia editor-in-chief Eugenie Kelly. Christian said: “I grew up and spent most of my life in Cooden Drive in Bexhill. I attended school in Eastbourne but pre-school in Bexhill. “I moved to Melbourne in 2012 to be with my now Australian wife. “I studied Business at Queen Mary University in London and I only worked in fashion in London in retail and buying offices. “While working in fashion in London I studied fashion at night at London College of Fashion, doing short courses to learn fashion design. “After I moved to Melbourne I started my menswear fashion business, focused on lifestyle. “We have men’s stores and also a global wholesale network in Hong Kong and China with department stores Lane Crawford. Chris Wilson, David Jones department store general manager – menswear, men’s footwear, accessories and childrenswear, said: “Men are becoming more fashion conscious and experimenting with expressing their personal style so there is a constant demand for new and unique brands. “Christian Kimber has established a foundation of high-quality, easy-to-wear, enduring pieces complemented by bolder statement pieces - the perfect mix for the modern gentleman’s wardrobe. Listed building damaged on Bexhill seafront. Emergency services called to Bexhill after man falls from ladder. 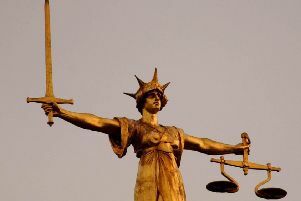 Hastings teen stole items worth £32,000 from Bexhill property.